According to Kumar, fintechs are gaining popularity in lending space, which can be a challenging factor for banking sector. Bank of Maharashtra reduces MCLR by 5 bps - Does that mean your EMIs on home, personal, car loan to get cheaper? Find out! Indian lending landscape has witnessed some massive transformation over the last one decade. The consumer who would opt for a bank loan even a couple of years back is now vouching for Fintech platforms. Owing to this, the future of personal loan is shaping towards either two results: paperless and cashless. And who’s holding the steering wheel you may ask? Well, none other than these digital lending platforms that offer quick, hassle-free, paperless loans. 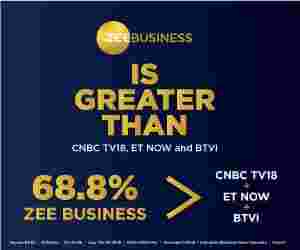 Aditya Kumar, CEO, Qbera.com in an interview with Zee Business Online said, "India, as we all know, is steadily moving towards a cashless, digital economy. And herein lies a major chance for Fintechs." This rapid technological development and the subsequent advent of Fintech platforms have effected a major impact on the lending market. What’s more, banks are also trying to adapt along with this rapidly-transforming landscape. Currently, almost every leading bank gives you an option to apply for a personal loan online. But is the process as smooth as applying via Fintech platforms? Well, not so much. Fintechs stand an edge ahead of banks with their super-fast processing time and quick disbursals. Yes, unlike banks that take days to process your loan, digital lending platforms like Qbera get the disbursal done in under 24 hours. This is one of the biggest reasons why newer Fintech platforms are entering the lending scene every year. According to a report from PWC, Fintech lenders like Qbera have increased from 2 in 2013 to at least 30 by the end of 2015. But how do they work? Well, here’s the deal- most of these companies simplify your financial hassles by letting you choose from a wide range of financial products with a simple click or a swipe. So, all you have to do is visit their website, choose your preferred financial product, and enter the required details to complete your application. This doesn’t just save your time, but it also simplifies the entire process of application. And the best part- you get to monitor every step before your loan is finally approved. How are Fintechs Upping the Lending Game? While there are different ways in which Fintechs are upping their game, one of their defining aspects is user-experience. Unlike banks, Fintechs have focused on implementing enhanced user experience since their very inception. With mobile functionality, higher accessibility and personalization, these companies have gone above and beyond to ensure that users enjoy a glitch-free interaction on their lending platforms. Their ultimate focus, however, is to implement newer innovations that’ll result in faster transactions, quicker disbursals and 24x7 user access. Why are Banks Lagging Behind? Although user experience is a major aspect that is pushing banks behind, legacy infrastructure is another important factor. Fintechs heavily rely on technologies like artificial intelligence, analytics and automation which result in faster functioning, lesser glitches and enhanced quality of service. Since banks are still grappling with innovation, it is only likely that they’re lagging behind.